Sale prices for all swine, beef, poultry and sheep are on a live weight basis. A sale program will be distributed prior to the sale. This program will indicate the 4-H member, the project’s weight and placing. All buyers must register before the sale and obtain a bidding number. All sales are final. All purchases are to be paid for on the day of the sale. Cheques must be given to the clerk by 5:00 pm and made out to: Essex County 4-H Association. Photographs of the Champion and Reserve Champion animals in each class will be taken after the sale. These photographs, provided by Colchester South and Harrow Agricultural Society, will consist of the 4-H member, project and buyer. Photographs of each animal sold will be taken at the conclusion of the show. These photographs will be provided by the Colchester South and Harrow Agricultural Society. All animals are the responsibility of the buyer once they are sold. All animals must remain on the fairgrounds until 4:00 pm, Sunday September 3rd. Poultry must remain until 5:00 pm. The buyer is responsible for all trucking and slaughter arrangements for beef, swine and sheep. Buyers of poultry who wish to take their birds live, must notify the clerk and pick up their birds on Sunday, after 5:00 pm. Arrangements for poultry processing to be announced. Members are responsible for maintaining the care of their animal until 4:00 pm Sunday afternoon. Only donations made to the local 4-H Association will be issued an official tax receipt. Individual clubs are not registered charities. Donated animals will be sold at the end of the auction sale. Thank-you to all our 2017 Essex County 4-H auction buyers. 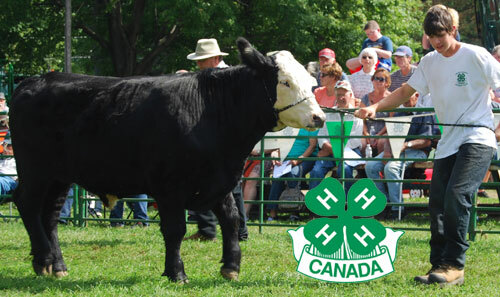 Your support helps our 4-H program grow in Essex County. Thank-you to the Colchester South & Harrow Agricultural Society. Your commitment to an Agricultural Fair and 4-H keep us strong. Marty Unholzer and Jack Morris, Thank-you for a job well done!! on Friday, August 31st, 2018 starting at 3:00 pm. 4-H is for Youth age 6-21 yrs. If interested in becoming a member please join us.